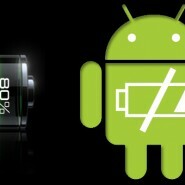 Everyone wants their battery with optimal charging capacity and long lasting especially we are using custom roms. First of all, Why we need battery calibration? Well, If you have installed or upgraded CyanogenMod 7.1 V1.4 from V1.3 then it is using new kernel battery driver which requires to remove old batterystat.bin system file in order to regenerate new batterystat.bin system file by OS itself which will have updated battery information to drive it. Second question may come in your mind, why batterystats.bin file? What’s in that? batterystats.bin file store battery storage information and reflect to battery performance. Symptoms of a bad batterystats.bin include poor battery life, excessive battery drain, phone is dead within hours or minutes of charging, battery will not fully charge, etc. These problems occur as the batterystats file may not know the correct max charge of the battery, or the min charge of the battery, and thus your battery will be artificially limited between what the OS thinks is the entire battery when in fact the batterystats.bin is not telling the whole story. This operation you can do from CWM recovery manager. Just follow to below steps. Get into CWM recovery mode. and follow instruction as shown in screenshot? Another related app we have is “Battery Calibration”. You can download it from market for free. It basically does same job as mentioned above but only thing it dosn;t require any boot. Just look at screenshot it has pretty well defined instructions. Just follow it and then you good to go with your battery. Other thing we recommend is do battery wipe just once when you upgrade or fresh install ROM and perform charging-discharging cycles 3-4 time. Hope you get better battery performance. Let us know your feedback, experience , question at below in comment section. 1 Respones to "Battery Calibration CWM and App – Tutorial"